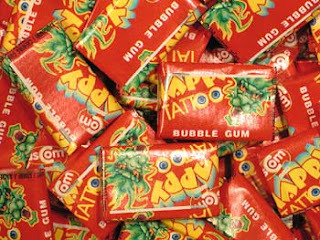 Pakistani food company Dan Pak has just printed the name of Muhammad on their Tattoo bubble gum. When the workers of the company told about this issue to their Manager they asked them to shut their mouth and just work.This situation is now known to all the high ranks of the country but still nothing had been sone against this . When they were contacted they did not even pick up their phone for a long time and then a lady picked up the phone and said that tha stock has been taken up from market and we are aware of this issue. Alas! It is very sad to say that the company of Pakistan is just doing these foolish things and our government is still sleeping. I think that the real man behind all this case must be brought in front of public.